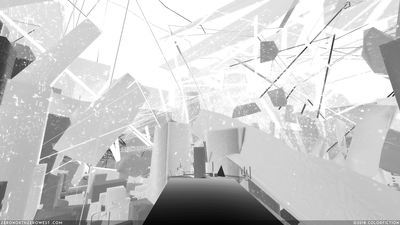 A FIRST PERSON SURREAL EXPLORATION ADVENTURE OF VISUAL AUDITORY STIMULI. A cross country road trip strands you in a mysterious town lost amidst towering mesas and swaying dunes, will you beckon the glowing call of its lone storefront and embark on a fantastical multidimensional walkabout through space and time? 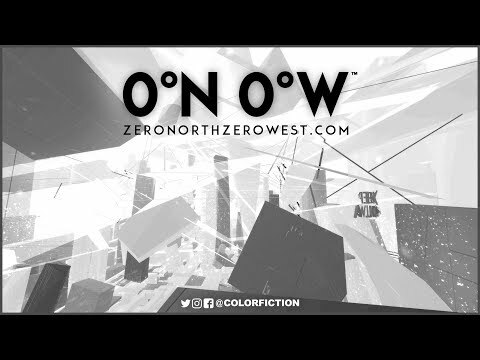 Experience a beautiful environment where nothing is what it seems, a cosmic labyrinth where doors always lead to different destinations, an anomalous zone where mass gingerly defies gravity, a universe of inspiration, of dreams: Experience 0°N 0°W . 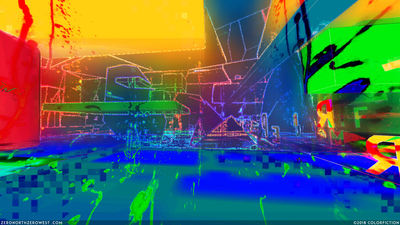 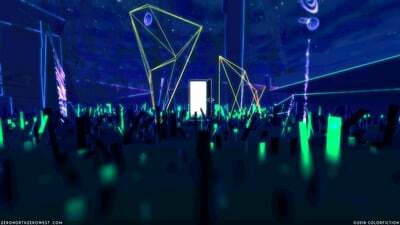 Although there isn't a lot to it, its chaotic neon visuals and sense of introspection make it a worthwhile experience. 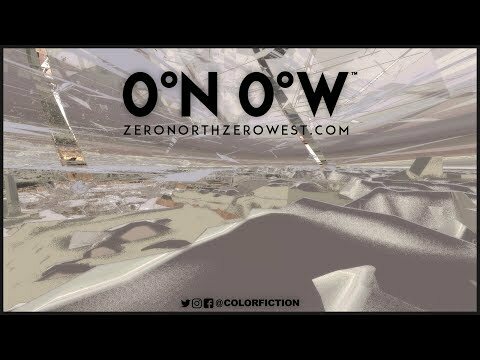 0'N 0'W is an acid and psychedelic trip through an absurd world with no end. 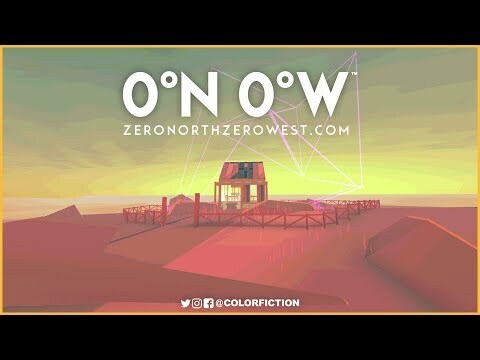 Zero North Zero West is an amazing vacation into the unknown.